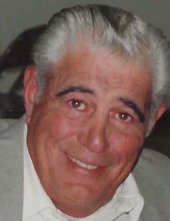 VALERI, ROBERT ANTHONY of Norwood formerly of Readville-Hyde Park passed away on April 4, 2019 at the age of 84. Beloved husband of Rose M. (Brandolo) Valeri. Devoted father of Michael Valeri of Walpole, Dawn Valeri-Vrabel and her husband Michael of Canton and the late Laura Mercier. Brother of the late Sylvia Harman. Robert is also survived by his grandchildren Eric Mercier, Nicholas Valeri, Amanda Vrabel and Samantha Vrabel. Son of the late Antonio and Domenica (DiGiambattista) Valeri. Robert worked 35 years as a foreman for the Construction Laborers Union Local 135. Funeral from the Kraw – Kornack Funeral Home, 1248 Washington St., Norwood, MA on Wednesday April 10, 2019 at 10:00am followed by a funeral mass at 11:00am in St. Catherine of Siena Church, Norwood MA. Visiting hours will be held on Tuesday April 9, 2019 from 4:00pm to 8:00pm. Burial will be at Fairview Cemetery in Hyde Park MA. Donations in his name may be made to a charity of your choice. To plant a tree in memory of Robert Anthony Valeri, please visit our Tribute Store. "Email Address" would like to share the life celebration of Robert Anthony Valeri. Click on the "link" to go to share a favorite memory or leave a condolence message for the family.